The Minnesota Vikings beat the Green Bay Packers 37-34 today in Minnesota, sending the Vikings to the wildcard playoff game next week to face the Packers (again) in Green Bay. The Packers would have had a bye week had they beat their division rival Vikings. The Chicago Bears beat another division rival the Detroit Lions, but needed the Vikings to lose to advance to the playoffs. The Vikings victory seals the end to the Bears disappointing season. Merry Christmas and a Happy New Year from Paul Gorski! 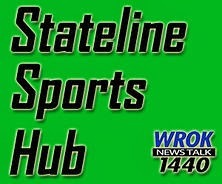 and WinnebagoCountyNews.com, RockfordSports.com and CherryValleyNews.com. in addition to making the web sites easier on the eye and mobile friendly. Thank you for following my news feeds and please support the featured local news organizations. "They've been hitting the ball hard and having good at-bats all season," RiverHawks Manager Rich Austin said. ..